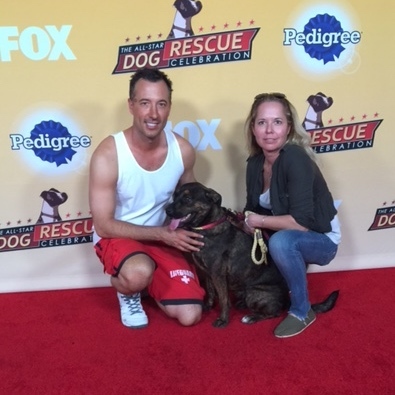 Tune in Saturday, February 21 at 6:30pm on NBC to watch Rob Kuty of San Diego Pet Training appear on “Best in Shelter” with Betty White and Jill Rappaport. 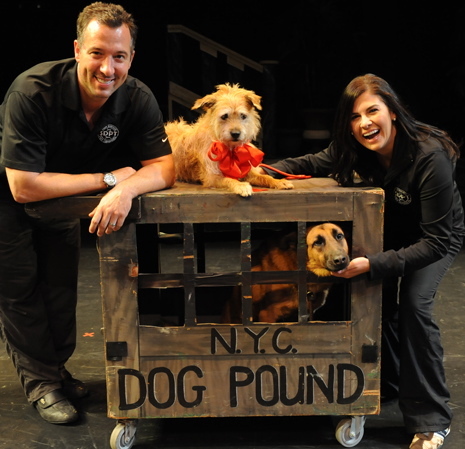 A few lucky Helen Woodward Animal Center rescue pups are receiving major, national television exposure this weekend as the new NBC special, Best in Shelter with Jill Rappaport, highlights pet adoption. The show focuses on types of dogs often overlooked for adoption and exposes the incredible virtues of these unsung fuzzy heroes by celebrating their successful adoptions at featured rescue organizations. Four senior female dogs from Helen Woodward Animal Center will show the world what they’ve got on NBC 7 San Diego, Saturday, February 21, at 6:30 p.m. >>Click here for other cities and showtimes Rob Kuty of San Diego Pet Training is proud to be the official animal trainer and behavorist at Helen Woodward Animal Center for more than ten years. Long time NBC correspondent, award-winning animal advocate and author Jill Rappaport is the creator, executive producer and host of the new rescue-pet focused show which takes viewers around the country to highlight categories of orphan pets who often wait the longest to find their forever homes. 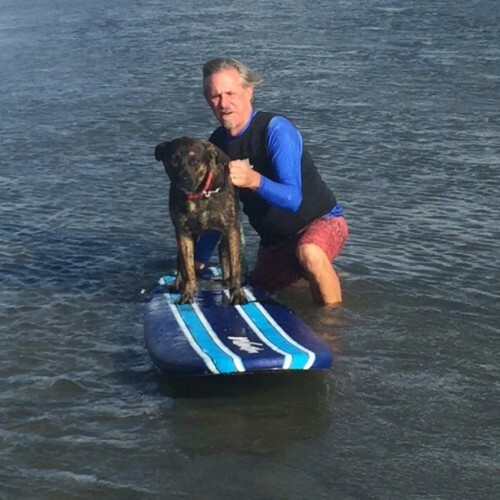 These categories include Pitbulls, Mutts, “Tri-pawds” (three legged dogs), and Seniors – aged 7 years or older. With the help of renowned celebrities (such as Olympic superstar skier Lindsey Vonn and singer/actress Bernadette Peters) the half-hour special highlights adoption centers from around the country working hard to place these special pets. Saturday, February 21, Best in Shelter with Jill Rappaport will celebrate four extremely loveable senior female dogs from Helen Woodward Animal Center. Each of the gorgeous foursome were named after a Golden Girls character (Rose, Dorothy, Blanche and Sophia) due to their charming and comical personalities. 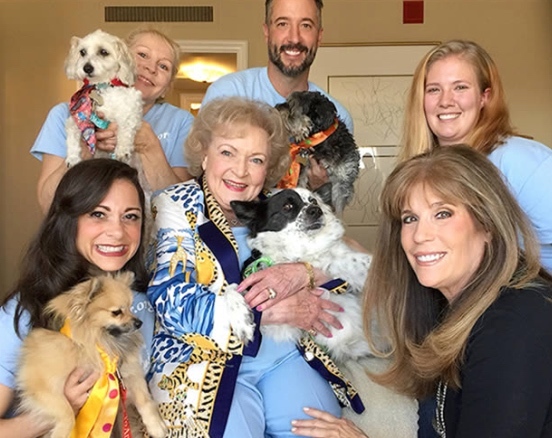 Through the filming of the show, these spunky senior girls had the exciting opportunity to meet legendary actress, comedian, long-time animal advocate and original Golden Girls star Betty White who weighed in on their adoptable qualities, such as “lickability” and cuddle factor. 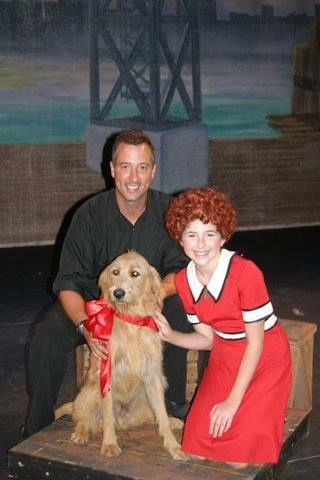 Teen actor Lou Wegner selects his “Best in Shelter” pick but each one ends up a winner as they find their loving forever families by shows end. on the La Mesa Patch website. Click here to read the full article.